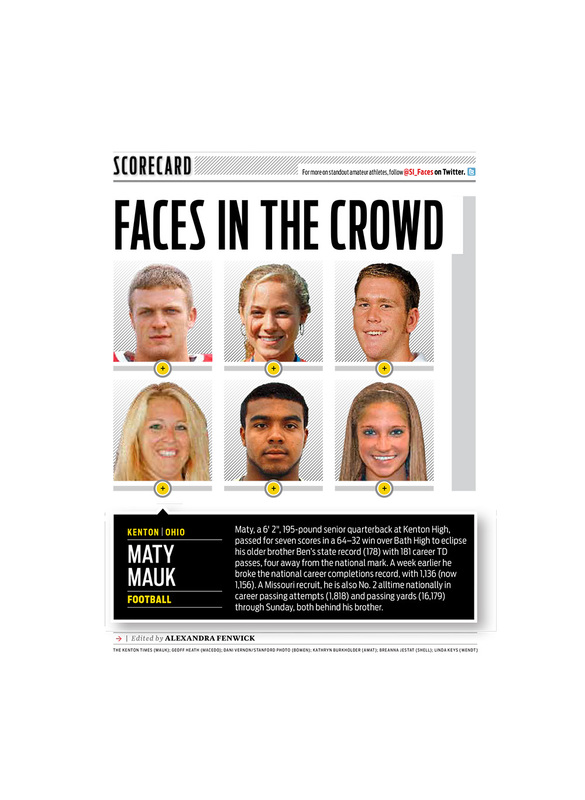 Faces in the Crowd is a page that I helped out on pretty frequently as an intern at Sports Illustrated. 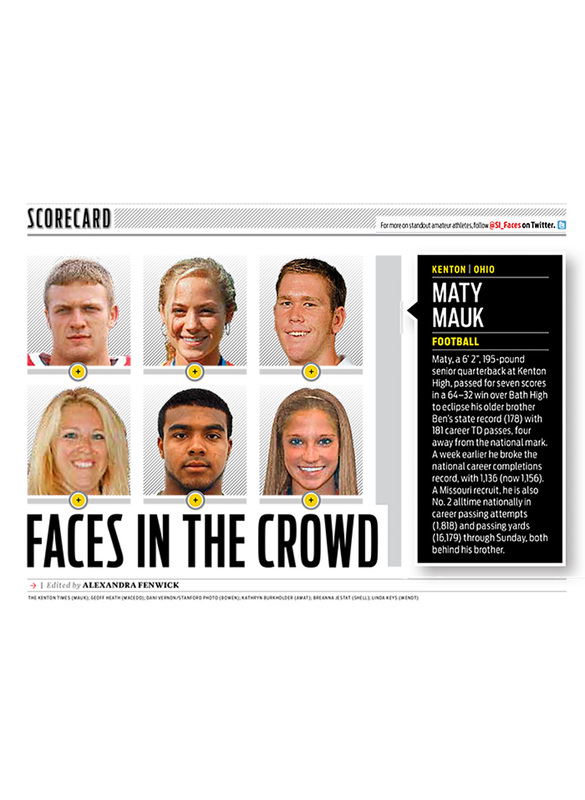 For the October 3, 2011 issue, I designed this small graphic that was featured on the top of the page. For the October 17 issue, I designed the whole page across print and iPad, including the small graphic at the top of the page. Faces was always one of my favorite pages to work on because it taught me how to use layers to design the changes that take place on the app when you press buttons. 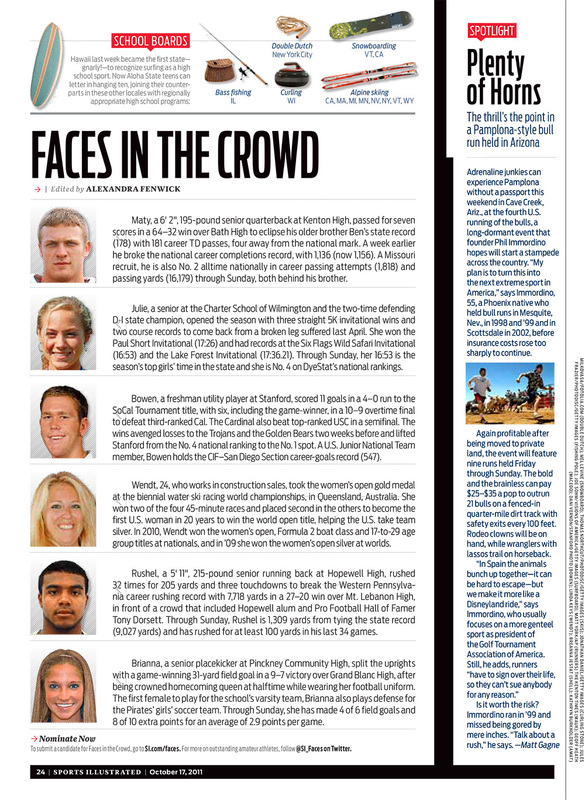 View the Print Version, iPad Vertical Version, or the iPad Horizontal Version on Issuu.